There have been at least two other instances in American history in which specific groups of human beings were stripped of their rights of personhood as a means of justifying horrific mistreatment. African-Americans and Native-Americans both felt the brunt of a system which tried to create the artificial classification: human, non-person. This distinction wasn’t based on an honest evaluation of the evidence, but with an eye towards justifying a specific action. In the case of Native-Americans, they had land. In the case of African-Americans, they had labor. Classifying them as non-persons (even property) provided a moral framework for those in power to forcefully take what they wanted without compensation. Today, “unwanted,” unborn children don’t hold anything as tangible as land or labor, but their claims on those who would eliminate them are no less significant. They stand in the way of an unencumbered, more self-absorbed lifestyle. Once again, this notion that human beings can be classified as “non-persons” is not built on an objective assessment of the facts, but with an eye towards justifying abortion. Check out the poster on the right about the denial of personhood from NCLN. This entry was posted in abortion, apologetics, ethics, euthanasia, fetal development and tagged abortion, animal rights, biology, by Marissa, human beings, Nazi Germany, personhood, Peter Singer, twins on February 11, 2012 by uOttawa Students For Life. A few weeks ago, one of my professors gave a lecture comparing two iconic figures of the 1980s Canadian abortion debate, one of whom was pro-life, and the other, pro-choice. His argument was that, apart from their differing stances on abortion, the two fought with the same attitudes and tactics: on the upside, both were extremely passionate, but they were also both rather arrogant, and both became lawbreakers in the pursuit of their causes. Their differences, he suggested, did not go much farther than their ‘pro-life’ and ‘pro-choice’ labels. If not for that, they may as well have been the same person. The lecture brought me to an important realization: to “outsiders looking in,” the way in which we fight against abortion may say far more about our cause than what we are actually fighting for. That idea got me thinking about my own experience as a pro-lifer. I got involved in the pro-life movement last year, when my high school law teacher told my class that we’d have to write a position paper on a controversial issue. I chose abortion as my topic, but I didn’t know much about it at the time – I understood, vaguely, what the procedure entailed and how fetal development progressed, but nothing prepared me for what I was about to learn. 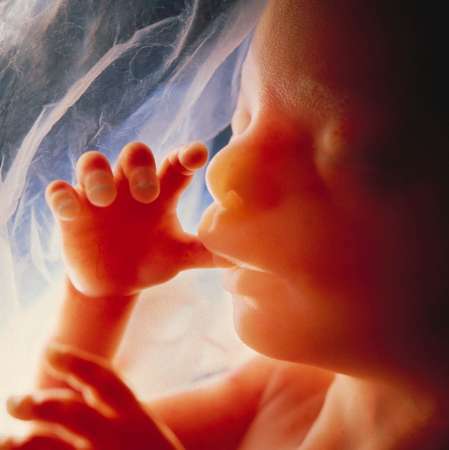 The first time I saw a photograph of an aborted child, I stared at my screen with tears streaming down my face. I couldn’t get the image out of my head for weeks. The photo didn’t just leave me concerned — it left me heartbroken. Soon after, I began visiting sites like standupgirl.com to read stories of post-abortive women who looked back on their decisions with regret. Each one left me praying and grieving, and I felt an unexpected connection with these women, any of whom could have been my mother, my sister, my best friend. For the first few weeks, I immersed myself not in statistics and legal discourses about abortion, but in the names, faces, and memories of those it had touched. As the deadline of the essay began to draw near, however, my focus shifted from caring about the people involved to winning the debate – making a bulletproof argument, convincing my classmates, winning over my teacher, and ultimately getting a good mark. I continued to stumble upon images of aborted fetuses, but I scrolled by them without a second look. I skimmed past the stories of abortion recipients, only pausing to read them when I thought they’d be of use for my project. Phrases like ‘dismemberment,’ ‘suctioned limbs,’ and ‘crushed skull’ ceased to shock me. I’d become desensitized, but that, to some extent, is natural. The troubling part was that I had began viewing these stories of victims as mere fodder for a good essay – as stories that mattered to me only insofar as they helped along my argument. I tried to seek out the most shocking statistics I could find, forgetting that one cleanly-executed abortion with no complications was just as much a tragedy as thousands with more problematic consequences. It was only after the pressure of the deadline was past and I had a chance to reflect that I realized in my quest for making the best arguments, I’d assumed the very same attitude I that resented in the pro-choice side. To them, the 100,000 abortions that happen in Canada each year are not 100,000 unborn daughters, brothers, or cousins, but 100,000 pieces of tissue that can be removed and disposed of at will. To me, 100,000 abortions became not 100,000 people, but 100,000 chances to win a debate. In fighting against abortion, I had dehumanized the very people I was trying to prove human. Since then, I’ve realized that, although winning is extremely important to pro-lifers, equally important is how we fight this battle. We need to set ourselves apart with more than just whether there’s a ‘life’ or a ‘choice’ suffix tagged onto the end of our ‘pro-‘ label. We need to fight in such a way that, 3 decades from now, no professor will be able to tell his class that, while our ideologies were different, our attitudes and actions were basically the same as those of the other side. And we need to remember that the strength of the love, concern, and compassion which drive our cause can speak infinitely louder than arguments of words. This entry was posted in abortion, activism and tagged abortion, activism, advocacy, development, love, personhood, the unborn on April 29, 2010 by uOttawa Students For Life. It amazes me how subjective our view of the “unborn” is and how quickly it changes according to our circumstances.Think of a woman in the first trimester of pregnancy that eagerly tells all her friends that she is expecting a baby. Generally, her friends respond with excited congratulations! Now, think of a woman in the first trimester of pregnancy that fears the reality of a baby, keeps her pregnancy a secret, and considers abortion as a “way out.” Notwithstanding any details regarding the lives of the mothers, the major difference between these two situations is being “wanted”. The first baby is perceived by the mother to be a blessing while the second baby is perceived to be a burden. But does personhood depend upon the perception of another (in this case a mother)? A woman in Kentucky is being charged for “endangering the life of her unborn baby by using cocaine while pregnant”. The Grand Jury of Franklin County concluded that the mother’s drug use wantonly endangered her unborn child. The Jury’s decision was objective: it did not assign value to the fetus according to the mother’s perception of her child’s personhood. Read the full story at LifeSiteNews.com. It is wonderful that this baby’s rights are being defended. But what makes this child different from every other innocent life that is ended by abortion? This entry was posted in fetal development and tagged abortion, babies, by Theresa, LifeSiteNews, personhood, public opinion, right to life on February 17, 2010 by uOttawa Students For Life.